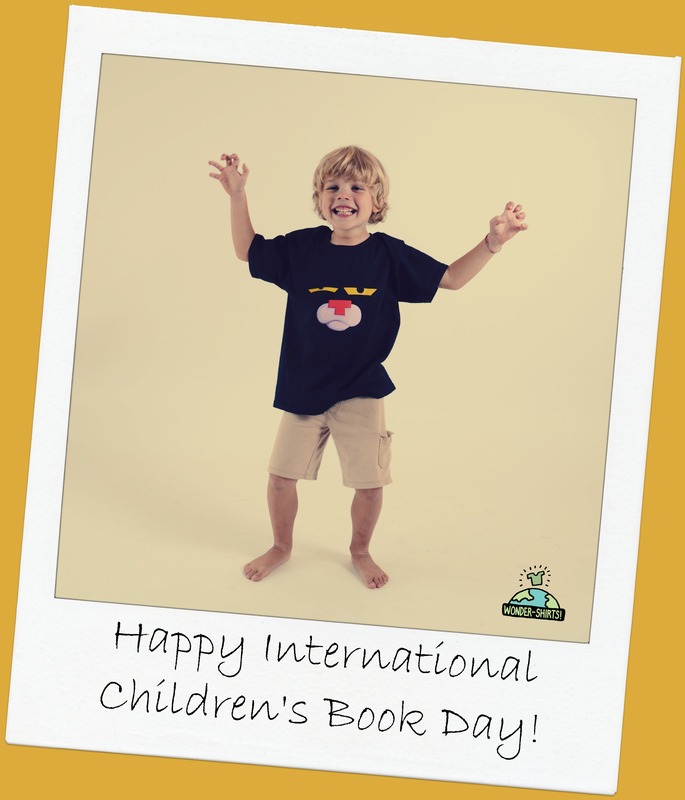 If you’d like to celebrate with one of our children’s book t-shirts, visit www.Wonder-Shirts.com. School Library Month (SLM) is the American Association of School Librarians’ (AASL) celebration of school librarians and their programs. On Twitter look for the hashtag #SLM14 to talk with other people who are advocating for the importance of school libraries this April. 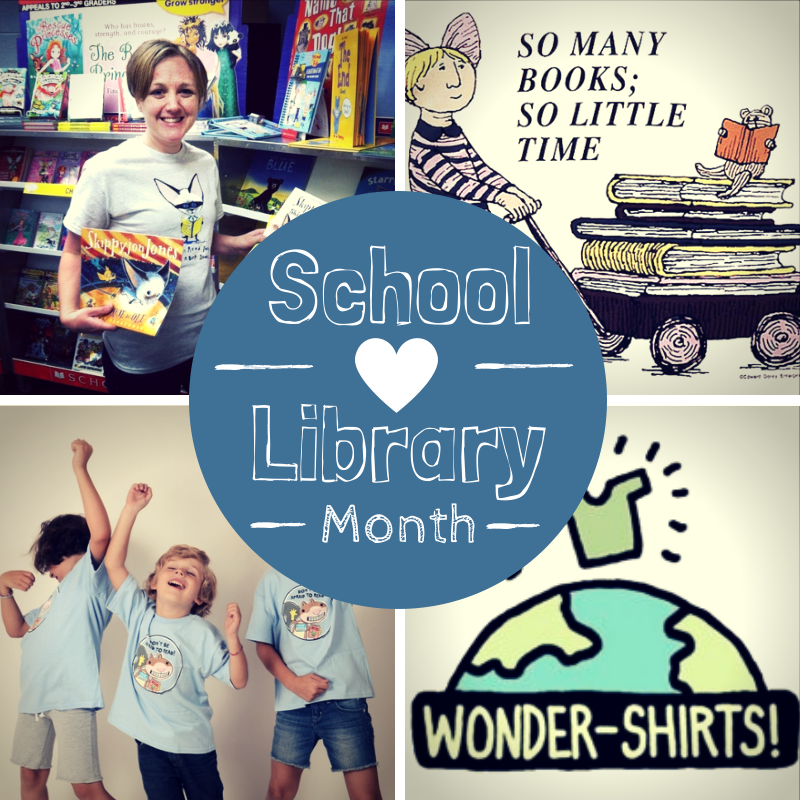 Perhaps you’d like to wear one of our children’s book t-shirts while you celebrate School Library Month. 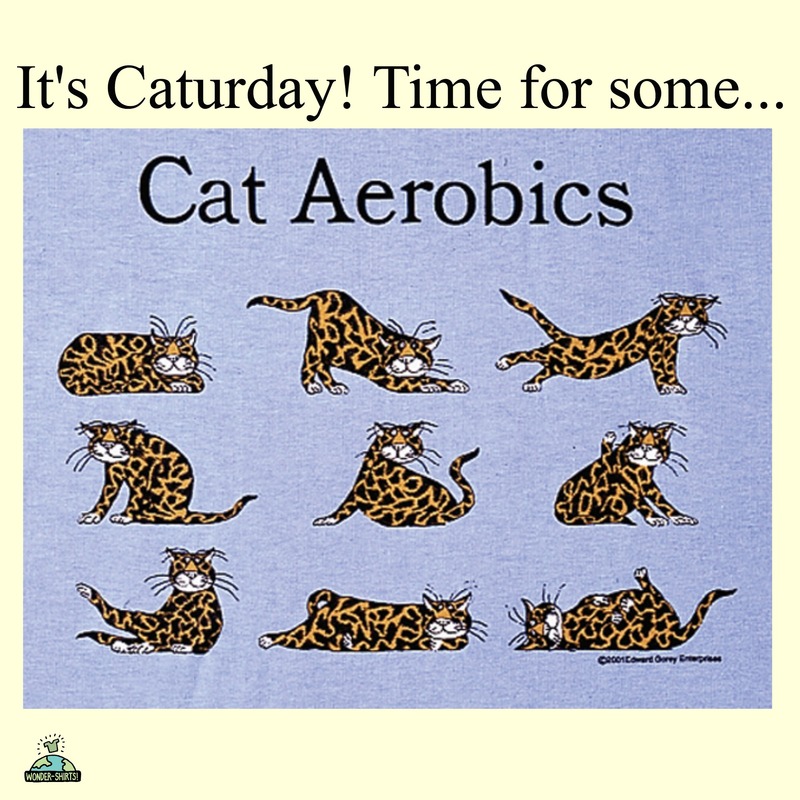 Check them out at www.WonderShirts.com. Happy first day of April! It’s April Fools Day, but we’re going to ignore that. People who love to read and promote literacy are no fools. Today we’re going to focus on celebrating T-Shirt Tuesday by sharing with you our top 3 tips for making time to read aloud. We know you’re very busy and time feels in such short supply. Fifteen minutes a day is enough to make a difference. If it becomes automatic it will feel less like something you have to deliberately schedule time for. Look for time to read aloud with children during all of the spare moments in the day, no matter where you are. Even in the car you can make a game of encouraging children to practice reading whatever they see. Keep small books handy for waiting rooms and other transition times. Let us know what you think of our suggestions. Are these tips you use? What other ideas can you suggest? 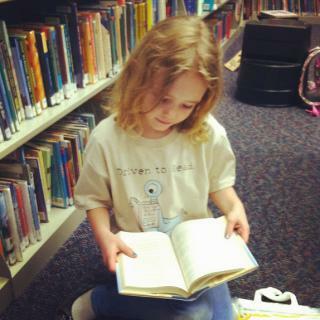 If you want to wear our “So Many Books; So Little Time” children’s book t-shirt, or give it to a little person in your life as a fun reminder to make reading a priority, visit our website. It’s Motivation Monday. 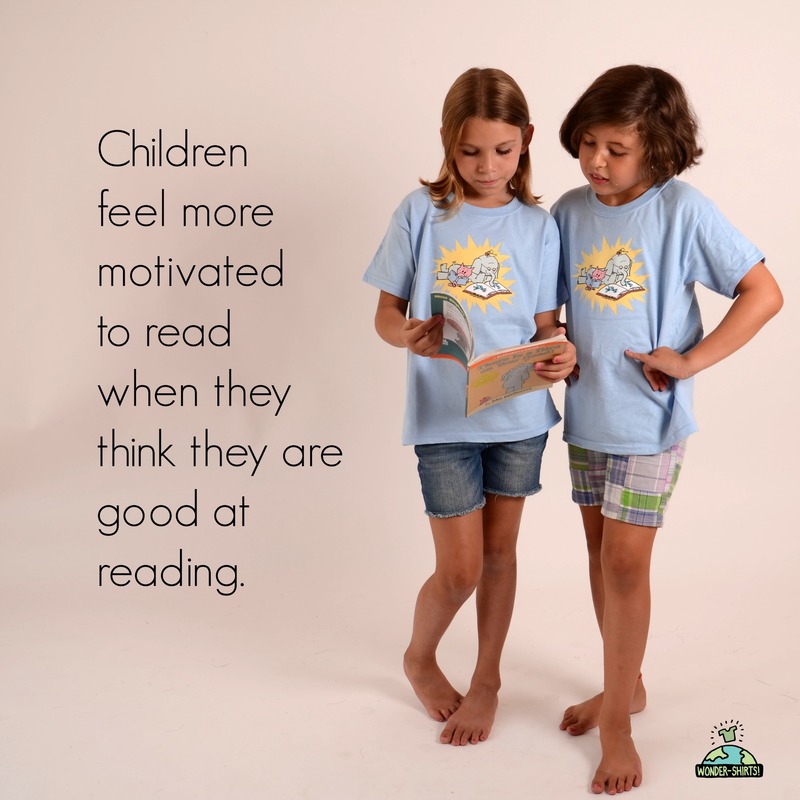 Today we’re thinking about what motivates children to read. Research shows that children who think they are good at reading feel more motivated to read. One of the tips for encouraging children to feel motivated to read is to reward them with reading related rewards. May we humbly suggest using our t-shirts as a reward? Check them out at www.Wonder-Shirts.com. 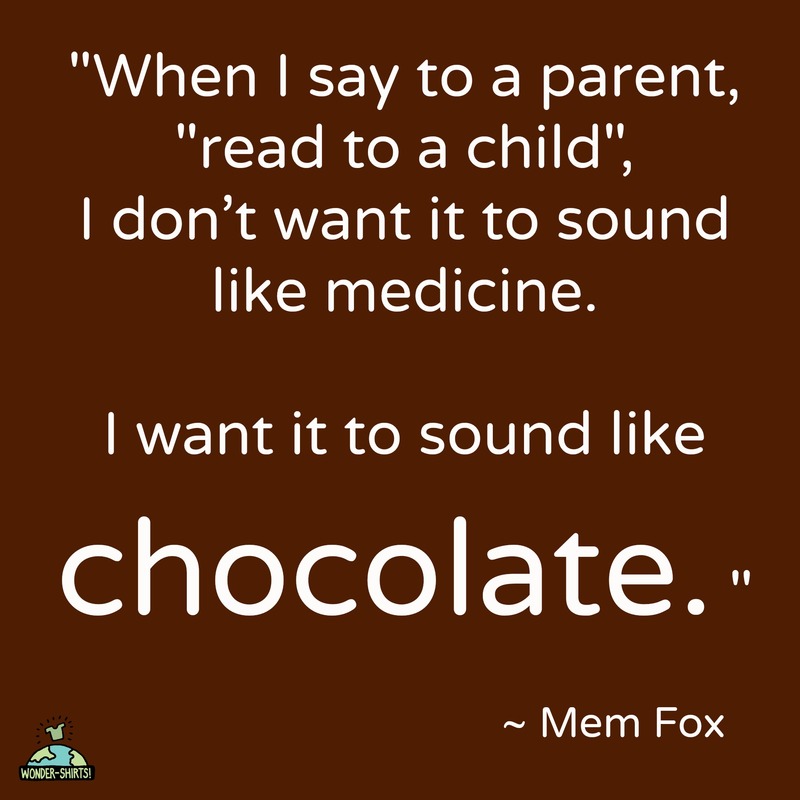 From your experience with helping children love to read, what has worked well for you? Books, Babies, Bows, & T-Shirts! In February we discovered a wonderful blog called, “Books, Babies, and Bows.” The author is a mom named Jenny who writes to promote early childhood reading. 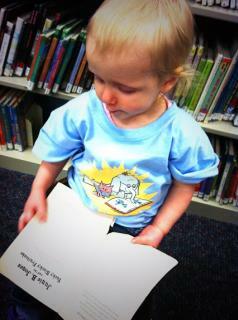 Here’s a photo of Jenny wearing our Skippyjon Jones t-shirt. We were very impressed with Jenny and her passion for reading, and she was very excited to discover us and our t-shirts! 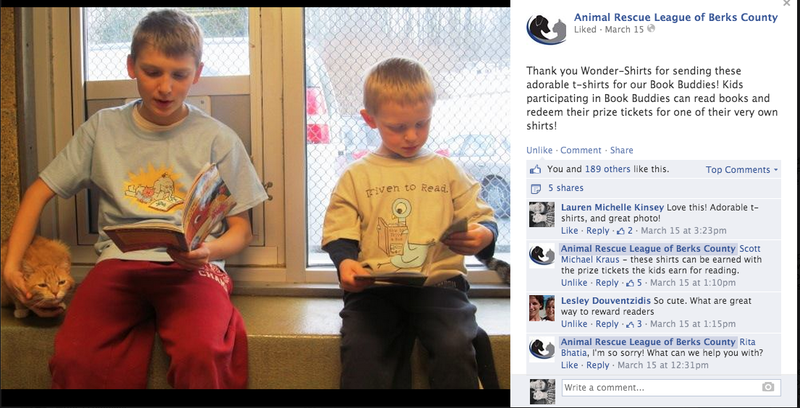 To support her in her literacy promotion efforts, we sent her three t-shirts of her choosing. Her two-year-old daughter “J” wanted our Elephant & Piggie t-shirt. 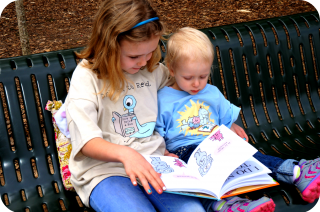 Her seven-year-old daughter “M” wanted Mo Willems’ pigeon “Driven to Read” t-shirt. 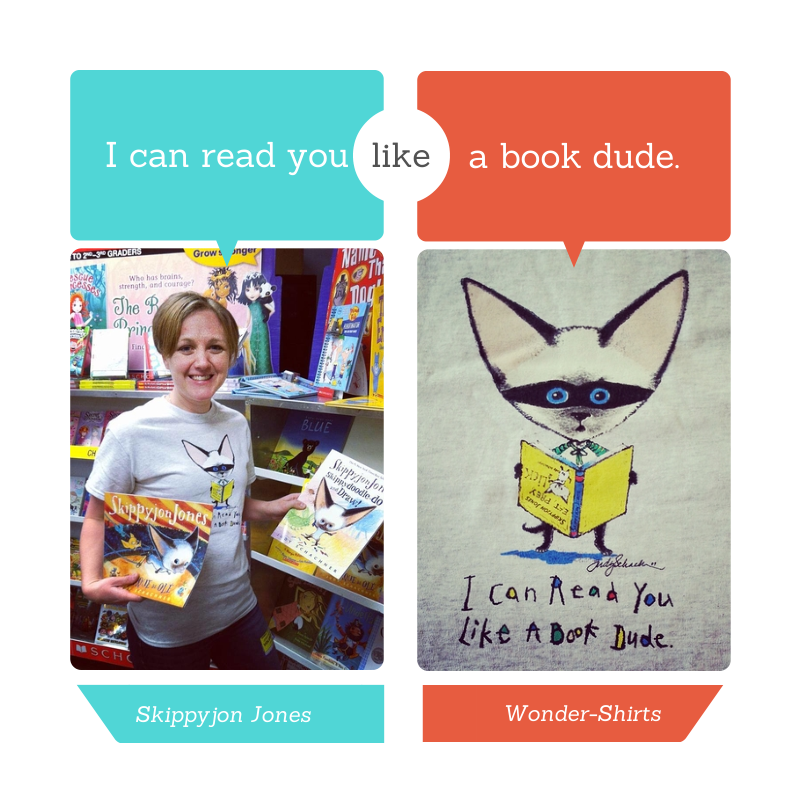 And as you saw in the first photo, Jenny chose our Skippyjon Jones “I Can Read You Like A Book Dude” t-shirt. 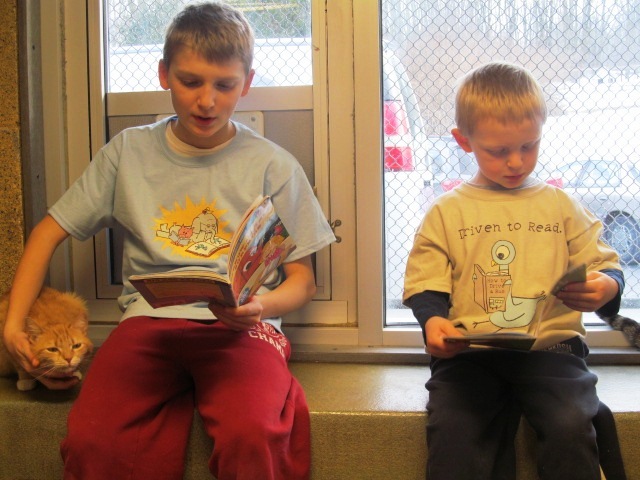 Do you have a blog that promotes reading to children and helping children love to read? Let us know in the comments. We’d love to see what you’re writing! Larry spent his life around books. From haunting libraries as a child and young adult to being an English major in college to getting an MLS and being a school librarian and public library administrator. In the late 1970s, when his kids were very young, he tried to remember the toys he had played with “way back when” and the only thing that came to mind was a set of circus-themed rubber stamps that he played with constantly. At the time, Larry was employed by a large public library system to review children’s and young adult books. He came up with the idea of having prominent children’s illustrators create rubber stamps that librarians, teachers, and parents could use to promote reading with kids. He called the company Kidstamps and issued the first catalog in 1981. From that germ of an idea he and his team built a company that eventually employed more than thirty people and produced rubber stamps, t-shirts, paper bookplates, and mugs, but all using the same idea: employing (at that point) more than eighty of the world’s best illustrators for children, including such big names as Maurice Sendak, to create products that instilled a love of reading in kids. In 2002 he gave Kidstamps to his employees, and he retained the t-shirts and apparel product lines. 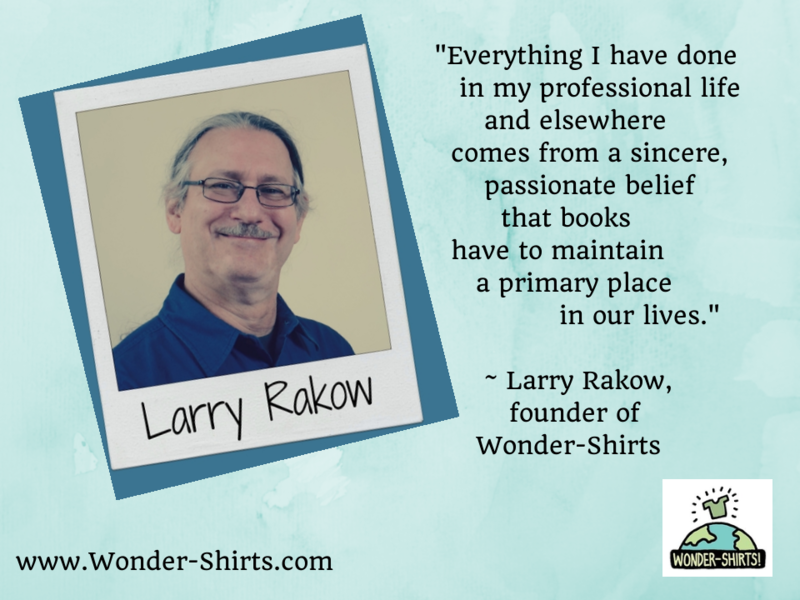 He re-branded as Wonder-Shirts. It was a much smaller company and one that he could handle by himself with one other employee. It stayed that way until he sold it to Wonder-Shirt’s current owners in 2012. Can you relate to any aspects of Larry’s story? Let us know in the comments. Now you know a little bit more of our story. We’d love to hear more of your story too.